Hey there! I just wanted to let everyone know that Hollie is hosting a giveaway to benefit Ophelia’s Place, which is an inpatient eating disorder facility. Hollie’s giveaway is huge, and just so happens to include two packages of granola from my Etsy shop. Hurrah! Go Hollie!! Speaking of baking… I crossed off another item on my baking bucket list! 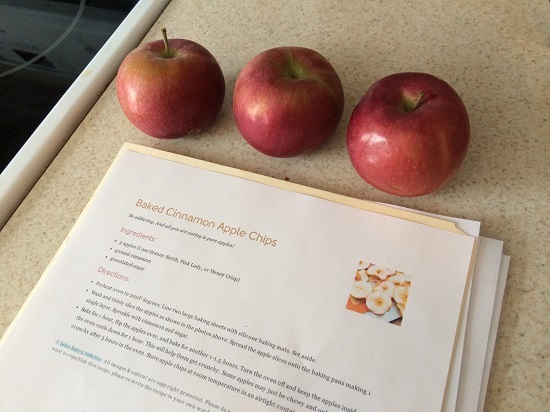 I made apple chips for the first time and they turned out great! The whole process was really simple. The hardest part? Waiting for the chips to finish baking! I used this recipe and didn’t change a thing. It was perfect! I have more pictures to share, but I have some homework to catch up on! What’s new, right?! I might be able to blog again later this week, though. i have been dying to make apple chips but the reason I hold back is that reason. I have zero patience. haha. I could never wait that long to eat them! The apple chips look really good! Apple chips! I’ve never thought to make those but now kind of want to. They look yummy! I’ve never tried apple chips. The recipe sounds really tasty! Good luck with the homework. I have a ton of that to do as well. You have my sympathy! 🙂 But any time I feel myself getting tired or grumpy about it, I try to remind myself how lucky and blessed I am to be at university. I appreciate it even more, considering I had to take a year out from it to look after mum. Have a great week! Awe thank you for sharing Allie and thank you again for donating. It really means so much to me. Apple chips at panera are my favorite so I would be all over these. 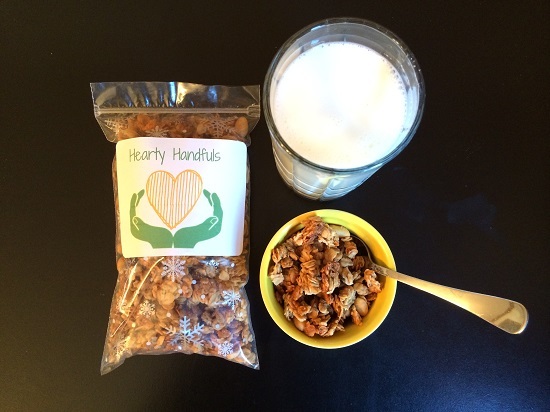 AHH GIVEAWAY with your granola, YUM!! These apple chips look great! I haven’t tried to make these yet, that’s on my list! Mmmm apple chips! I made some dehydrated apple chips for the sis to take back with her to college. 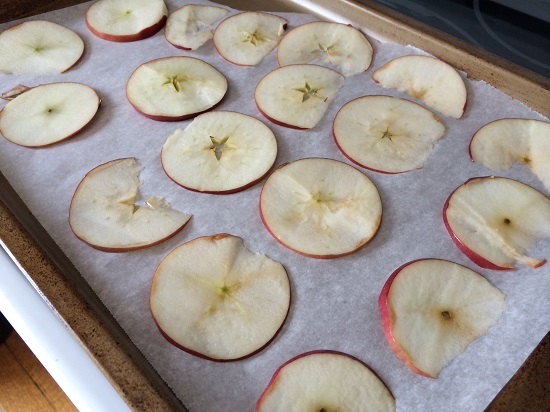 Never tried actually baking apple slices though! 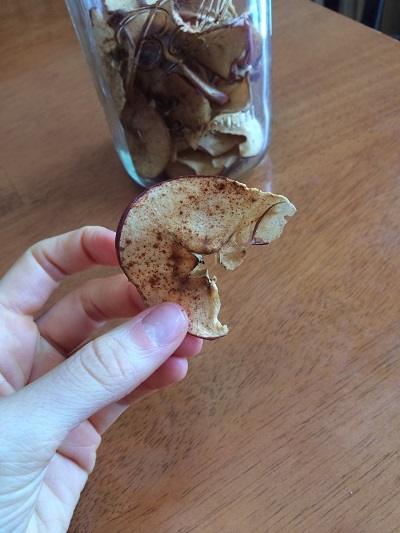 I might have to try these apple chips since I love banana chips! Yum!! Hope you’re doing well Allie! Did you use a mandolin to slice those apples?! Otherwise I’m not sure how it’s possible to get them so thin! Your apple chips sound delicious! Is the giveaway over yet??? I have to look into it! Of course I would love to help support an eating disorder treatment center! Those apple chips looks great! I keep wanting to try making them but never do. Now I am motivated to try them! !